As 3D printing continues to grow in fashion, it has also very much extended itself into the shoe industry. 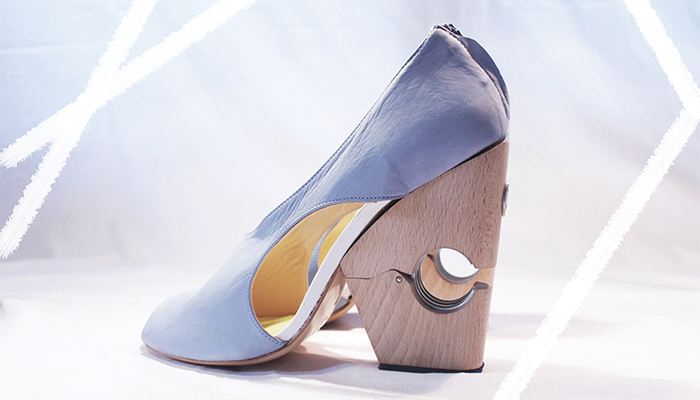 One designer using the technology for her footwear is Silvia Fado. Her brand, of the same name, was established back in 2012. Enriched with a diverse background, such as knowledge about architecture and knitwear design, Silvia Fado’s perspective is a creative one. We wanted to learn more about 3D printing in footwear therefore we contacted her to get her opinion on the matter. Check out what she had to say on the subject. 3DN: Please introduce yourself and how you work with 3D printing? I started my career studying architecture in La Salle (Ramón Llull), Barcelona; after that I graduated in Fashion in ESDI, Barcelona. I started my professional experience working for a big international retailer, in the knitwear department. After this period, I decided to specialise in footwear, following my true passion for shoes. I post graduated in MA Fashion Footwear in London College of Fashion (Cordwainers) with Distinction, and learnt the shoemaking traditional techniques from the renowned and talented Paul Thomas. My work is distinguished for being a synergy between high technology, rapid prototyping techniques and traditional shoemaking. 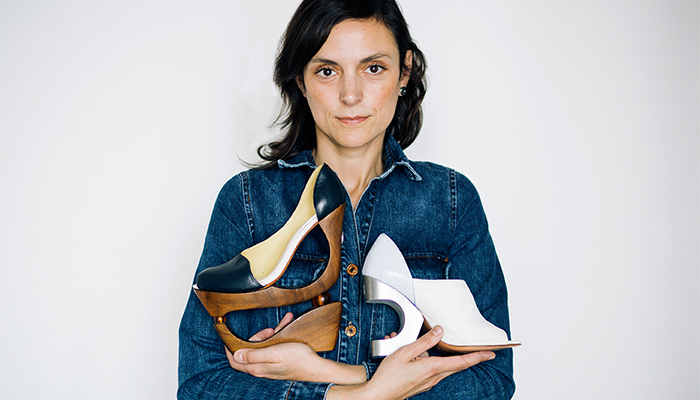 I am the CEO and Head Footwear Designer of my own brand, Silvia Fadó, created in 2012. Innovation and engineering are the key of the brand, working in collaboration with architects, engineers, chiropodist and vascular surgeons to develop each collection. The brand has been showcased in New York, London, Paris, St Petersburg, Eindhoven, Netherlands, Madrid, Barcelona and in very influential fashion publications. I use 3D printing and other 3D technologies as part of my prototyping and production process. 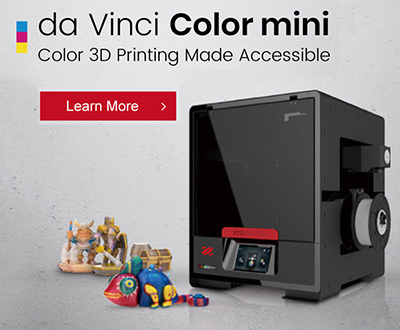 3DN: What got you started on using 3D printing and how did you implement it? I learnt the technology during my master in London College of Fashion, I experimented with different technologies to find what was more appropriate for footwear. Now I own a 3D printer and I experiment with my ideas with a lot of freedom. 3DN: How do you use 3D technology when designing? I use 3D printing mainly to produce the shoe structure, heels, soles and wedges. I mixed the rapid prototyping with traditional shoemaking in the upper part, that is produced by hand in fine leather in my studio, to give an extra value to my product. 3D printing is a great tool to create volumes without production quantity problems, as my product is very unique and I only produce few pairs per design. I love experimenting with new materials, playing with their characteristics to create my designs; they are a great inspiration. 3DN: How has 3D printing affected the production of shoes? 3D printing has specifically changed the manufacturing process in prototyping, it saves cost and time to get the desired shape. In my opinion, the negative points are the printing speed, as you need almost a day to print one single wedge. Also the quality of the finishing due to the support removal, it is always hard to get a nice finishing after getting rid of the support material, especially with materials that are difficult to sand and polish. Positive aspects are freedom of design, and possibility to try on my own in my studio, so you get an immediate feedback and can adjust the shape as many times as I want. 3DN: Do you see a continued growth of 3D printing in the footwear industry? Yes, I do. The possibilities are limitless, big brands and more conceptual and experimental designers are using the technology a lot due its possibilities, and it’s growing thanks the improvements and the diversity of materials. You can learn more about Silvia Fado and her design on the website HERE. What do you think of 3D printing in footwear? Let us know what you think in a comment below or on our Facebook and Twitter pages! Don’t forget to sign up for our free weekly Newsletter, with all the latest news in 3D printing delivered straight to your inbox!